South African prosecutors say they have filed an appeal against the sentence and conviction of Oscar Pistorius, two weeks after he was sentenced to five years in jail for the culpable homicide of his girlfriend. The National Prosecuting Authority said it filed the application for leave to appeal both the conviction and sentence. “The appeal on conviction is based on the question of law,” it said in a statement. 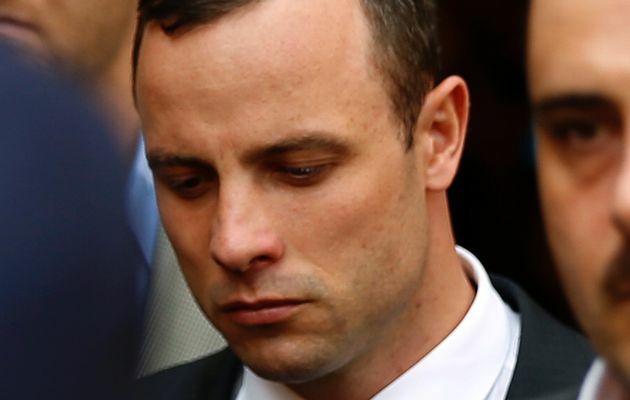 If Oscar Pistorius is Found Guilty of Murder, He could Serve at Least 15 Years in Jail. Image: AP. The athlete was charged with manslaughter after shooting dead his girlfriend, 29-year-old Reeva Steenkamp, on Valentine’s Day last year. Judge Thokolize Masipa, while giving her verdict on September 12, cleared the double amputee Olympic and Paralympics athlete of murder, saying the state had failed to prove his intent to kill. Pistorius had said he fired four rounds through the door of a toilet cubicle mistaken his girlfriend for an intruder at his home in Pretoria. He started serving his prison sentence on October 21 and is eligible to serve ten months in prison, with the rest under house arrest under the current terms. If found guilty of murder, he could be handed a minimum of 15 years in prison. Fraser-Pryce Wins 200m, Ahoure; Second, Okagbare; Third as Nigeria’s Women’s Relay Team Reach Final. Pillars New Coach, Emordi, Resumes Duty. Odemwingie Would Like to Play For Eagles Again If Invited. 2015 Champions League Final Billed For Berlin’s Olympic Stadium As Europa League Winner Stands To Earn A Champions League Slot.